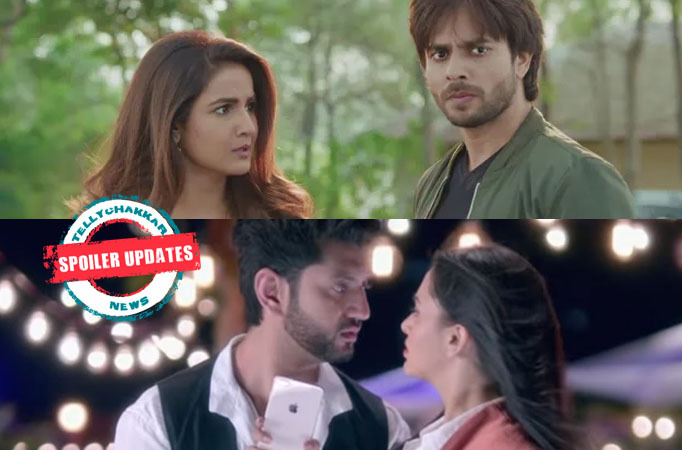 MUMBAI: Here are a few spoiler updates from your favourite television shows.Silsila Badalte Rishton Ka 2: Ruhaan express love for Mishti before VeerIn the upcoming episode Ruhaan expresses his love for Mishti to Veer. Veer and Mishti patch up once again. Veer apologizes to Mishti for staying upset with her. Veer thus questions Ruhaan about his love life and the girl who scratched him.Yeh Un Dino Ki Baat: Sameer, Naina, and friends fly kitesIn the upcoming episode, Munna, Pandit, Swati, and Preeti gather at Sameer and Naina’s house to fly kites on the terrace. Everyone heads to terrace and starts flying kites.Kumkum Bhagya: Prachi breaks down as Pragya meets with accidentIn the upcoming episode, Pragya has met with an accident with none other than Rhea’s car. Rhea is also unaware of Prachi’s mother being her mother. Prachi tries hard to follow the car and breaks down. A hopeless Prachi calls Abhi and seeks help from him.Gathbandhan: Angry Raghu takes extreme step to stop DhanakThe episode starts with Savitri challenging Dhanak to commit a murder and prove her worth for the post of a don. Meanwhile, Dhanak also agrees to her, putting a condition that if she wins the challenge, then Savitri will have to leave the criminal path.Savitri accepts the condition as she believes that Dhanak will never succeed in the challenge. This has left Raghu in trauma as he doesn’t want Dhanak to get into the criminal world.Guddan Tumse Na Ho Payega: AJ finally feels love for GuddanThe episode starts with Akshat specifying his hate for Guddan and refusing to accept her as his wife. Meanwhile, Guddan plans to electrocute Angad and thus comes to his room with electric wires.But as soon as she gets into action, suddenly, Akshat comes and catches Guddan. Akshat takes Guddan out, where he confesses his fake memory drama and his love for her.Dil Toh Happy Hai Ji: Rocky’s revenge on HappyThe episode starts with Rocky being broken about the reality that Happy distrusts him and proved him to be the culprit behind Smiley’s kidnapping.After spending 3 years in jail, Rocky is back in disguise of Shaan Wadhwa to take revenge from his enemies. But RV is still suspicious about Shaan and Rocky’s similar looks.Yeh Rishtey Hain Pyaar Ke: Abir apologizes to MeenakshiIn the upcoming episode, Kunal and Dadaji notice the multiple fights between Abir and Meenakshi. They tell Abir to not get into arguments with his mother. Abir thinks about the family’s happiness and agrees to maintain peace in the house. Later, he apologizes to her.